Peppermint Essential Oil Benefits: Put Some Pep' In Your Step! 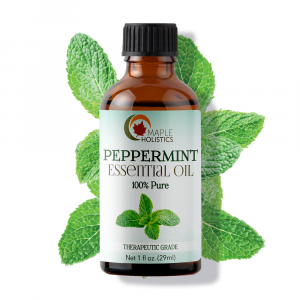 Home | Essential Oils | Peppermint Essential Oil Benefits: Put Some Pep’ In Your Step! Peppermint Essential Oil Benefits: Put Some Pep’ In Your Step! I’m quite sure that at we should all recognize the smell, taste and texture of peppermint. It’s quite common, and very nostalgic for some. Perhaps you’ve had it in a tea or smelt it growing in a garden at some point? 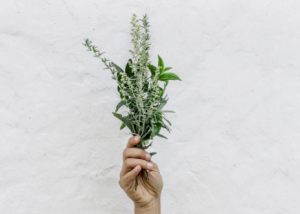 In fact, it’s highly unlikely that you’ve never encountered peppermint before, as the essential oil of the peppermint plant is found in a lot of everyday products like shampoos, chewing gum, teas, air-fresheners and a lot more. It’s really easy to grow and very cheap to cultivate. In fact, it’s been a part of human history for thousands of years and was referenced during the Greek, Roman and Egyptian empires as a flavorant, antiseptic and pain reliever. What Is Peppermint Essential Oil? Where Does It Come From? Peppermint is native to Europe, certain parts of the Middle East and North America and generally grows in cooler climates, in areas that are well-shaded and have a lot of moisture. Peppermint essential oil is extracted from the leaves of the peppermint bush generally through a steam-distillation process. The leaves are crushed and placed in a glass container. Steam then enters the container and extracts the nutrients from the organic matter through an evaporation process. The steam then passes through another glass tube and gathers in a condensation chamber, where they form droplets and eventually the finished product. 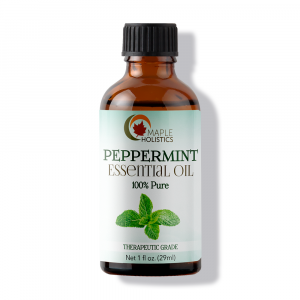 Peppermint essential oil has a very distinctive smell and is safe for consumption and topical skin treatment. Peppermint is a strong antiseptic and antimicrobial agent and can be used to treat wounds, sores and boils that might occur on your skin. It absorbs easily into your skin and doesn’t leave any greasy layers that can clog up your pores and lead to blockages or blemishes. Peppermint is also a potent natural analgesic – which means that it can be used to treat pain (superficially or internally). Whenever I have a headache, I generally make a cup of strong rooibos or yellow label tea and add a good branch of crushed peppermint. It’s best to let it sit for a short while and be sure to inhale as much of the steam through your nasal as you can. I always keep a small supply of peppermint in an re-usable plastic container, along with my teas, at the office for exactly this problem. Peppermint essential oil also works well as a joint and muscle relaxer and can relieve pain when it’s massaged into your skin around the affected area. However, I generally recommend that you blend this oil with eucalyptus or tea tree essential oils for added and stronger, faster effects. Peppermint is just such an amazing plant, honestly. For instance, it generally grows best just before or during the winter time – the height of flu and cold season. The plant and the oil both work well in treating a fever, and will re-invigorate your senses and leave you feeling energized – helping to combat the effects of flu. The strong odor will also help to relieve you of rhinitis (blocked nose and post-nasal drip). The plant and the oil can either be consumed raw, or added to tea to help heal a sore throat by loosening mucus and easy pain. It will also kill of any germs that lead to or worsen your infection, thus speeding up the healing process. Peppermint is like a gift from nature for the flu season! Due to peppermint’s strong natural antiseptic and antimicrobial qualities, it’s incredibly effective for treating surface level skin issues such as acne, wounds, rashes, burns, boils and conditions like eczema and psoriasis. The cleansing properties of peppermint essential oil means that not only does it work to kill off any germs that generally linger on the surface of your skin (and can lead to irritation or infection), but also nourishes and rejuvenates the skin cells. This allows for long-term protection and brighter, healthier looking skin. Some very important compounds that are contained in peppermint essential oil are menthol, (1,8) cineole oil and limonene. These are the most important agents in treating acne sores and helping the skin heal. Menthol acts a light local anesthetic and will help to making treating the sores less painful. 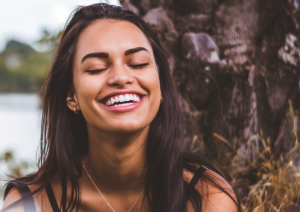 Cineole oil and limonene are more directly useful when treating acne as they contain large amounts of Vitamin E and act as strong natural antiseptics. This means that they clear out your pores and remove excess sebum oil and dead skin cell that cause further irritation or blemishes. The essential oil of the peppermint bush works really well as a natural toner – especially when combined with orange and tea tree oil. Eczema (or dermatitis) is generally caused by allergic reaction, chemical irritation or a slowing/clotting of the blood cells in your veins – which may occur for a number of reasons, such as long periods of immobility. Eczema is thought to affect over 300 million people around the world, and is characterized by a painful (and often itchy) rash/redness of the skin and sometimes even blisters. Treating this disorder generally involves applying harmful chemical steroid creams that could even worsen the condition in some skin types. Peppermint oil works well in treating the symptoms of eczema because it soothes the irritated area and the antiseptic qualities help to fight any infection that could be caused by openings on the skin. 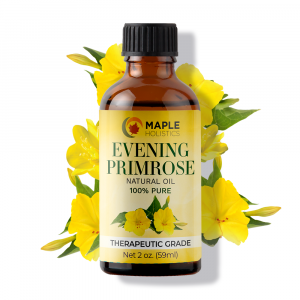 The moisturizing properties of the oil will also nourish your skin and lessen the effects of dryness – one of the main symptoms of dermatitis. This will help to slow the spreading of the rash and to ease itchiness. Hair loss is common with aging in men – especially those who have a genetic tendency for pattern baldness. As I have discussed previously, it is generally related to a build of a chemical compound known as alpha 5 -reductase, which occurs when testosterone builds up in the skin layer just under the hair follicles and is then converted to the alpha 5 -reductase. This compound then blocks the pores and can slow hair growth by starving the hair of essential nutrients as well as causing hair to fall out if it’s not treated soon enough – unfortunately it’s generally only noticeable when it’s too late. Because your scalp is so similar to other parts of your skin, it can be treated in much the same way. As (1,8) cineole oil and limonene work on clearing your skin, so the combination of these two compounds also works on keeping your scalp clear and getting rid of excess skin cells and sebum oil that can also block your pores and slow hair growth. When combined with orange or lemongrass oil (which contains high amounts of linalool – a chemical that actively inhibits the production of the alpha 5 -reductase), the mixture can help to slow hair loss and even promote hair growth by thinning out the blood cells under your scalp to allow for better circulation and more nutrients to your hair follicles. The strong antiseptic and antimicrobial qualities of peppermint oil also help to ease inflammation and irritation on the scalp which often leads to dryness and the symptoms of dandruff. By massaging the oil into your scalp after showering and combing your hair, the acetate in peppermint oil helps to balance the oil in your hair and clings to the dead skin cells – making them easier to comb out. As I mentioned previously in the article, peppermint oil is a natural analgesic – which means that it helps to relieve pain. It can be applied in a number of ways to treat the affected area and has little to no additional side-effects (unlike most chemical painkillers) so long as it’s taking in a reasonable dosage. Tension headaches are a common result of stress, or as the name describes, tension. They’re common if you have a genetic disposition for them or if you have a high-stress lifestyle. To treat a headache with peppermint essential oil, apply the oil (undiluted) directly to your temples and massage it in slowly and in circular motions. You can also apply the oil behind your jawbone and across your forehead for faster relief. I would also recommend a steam treatment with 6-8 drops of the oil if you can. Simply add the drops to a pot of boiled water (steam is essential), cover your head with a towel to create a tent, close your eyes and breathe the moisture in for roughly 3 – 5 minutes at a time. This should help to relieve any general head pain. Peppermint oil is a common ingredient in many toothpastes and dental products because it’s a natural anti-fungal agent, has analgesic qualities and is a strong antiseptic. To treat toothache, simply dab pure peppermint essential oil onto the affected tooth with a cotton swab or clean cloth and allow it to rest. It’s important not to consume any hot or cold drinks while the oil gets to work, or you’ll wash it away (I suggest tap water at room temperature through a straw). The oil will also freshen your breath kill any germs in your mouth that could lead to a fungal infection. Peppermint oil works well to ease and relax irritable bowel syndrome and nausea. You can ingest it orally or inhale the scent nasally for the oil to take effect in treating your nausea. It works to ease the muscles in your stomach, allowing it to break down bile – allowing food to pass through your stomach quickly. Now that you’ve got some pep’ in your step, be sure to read up on Apricot Kernel and Lemon Essential Oil while you’re here at Maple Holistics! I always have peppermint growing in my garden as well as on my kitchen windowsill. 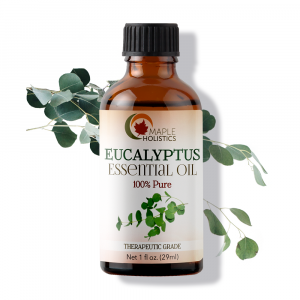 It brings a lovely odor to my home and grows very quickly – in fact, I need to trim the bush in my garden regularly in the winter because the root system grows very quickly. You’ll find that buying even one plant can provide you with enough peppermint forever if you treat it well. It’s really great to have during the winter time for teas and other dishes (in fact, peppermint jelly goes as a great relish with lamb and even poultry dishes in the right amount) and will do wonders for your immune system and general health. Putting some peppermint essential oil in your diffuser or oil burner will definitely liven up your home and help you feel relaxed.